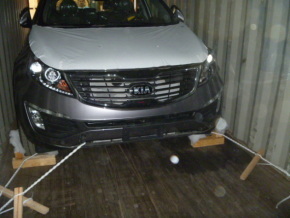 You can enter your departure and destination port to search for a second car so you can share a large 40 foot container, which means cheaper joint shipping: ContainerSharing ®! 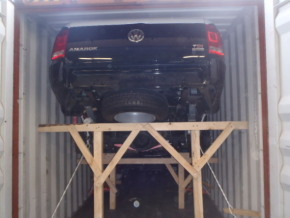 For even cheaper shipping it may be possible to share a 40 foot HC high-cubic container for three to five cars. This search service is free of charge! If you find a partner to share a container via this website, you each pay us 30% of the savings compared to an individual shipping with a 20 foot container and organise everything else yourself. Alternatively you can commission us with the Shipping, whether using a 20'', 40'', 40'' HC or RoRo (Roll on Roll off, “car ferry”) container. We offer virtually all routes around the world. We also offer homologation services (generating the registration papers) for all countries in the European Union and for Switzerland. However please note it is only in the case of relocation goods that almost all cars can be homogolated. 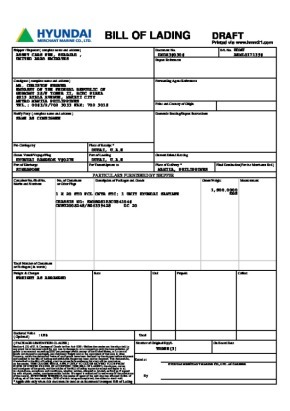 Trade items (cars) must comply with certain standards depending on the registration date, particularly with regards to exhaust emissions (Euro I-VI). 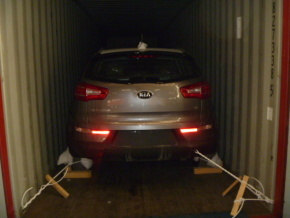 www.containersharing.org ® is a service of ICB International Car Bridge FZE, located in the United Arab Emirates and under German management. ICB specialises in trading new cars from Dubai to the whole world, as well as international shipping of cars and homologation services. Our clients are mainly diplomats and NGOs. 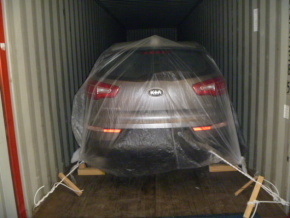 However car dealers and private clients also buy from us: www.icbdubai.com.